Ryan Reynolds got into the spirit of the upcoming midterm election by posting a fake political smear campaign ad against his best frenemy, Hugh Jackman… if that is even his real name! 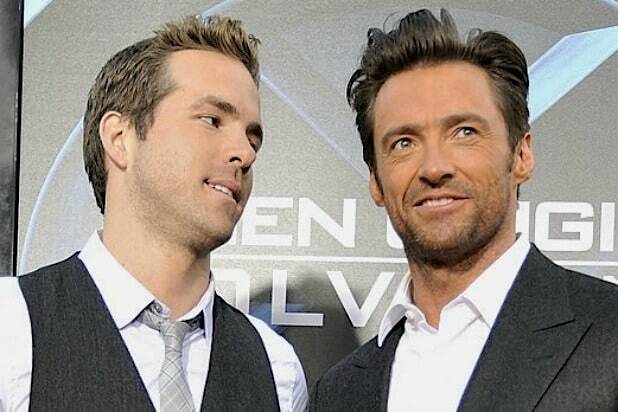 Reynolds has periodically trolled Jackman, either calling him a “monster” on Twitter and accusing him of not really being from Australia but rather Milwaukee, or impaling the Wolverine action figure on a rock in “Deadpool 2” (as in the scene at the end of “Logan”). But that didn’t stop the upstanding nice person Jackman from taking the “HIGH ROAD,” tweeting a quick video of his dog doing his business on top of a photo of Reynolds. YTV 1996: Those currently watching the miniseries reboot of 'The X-Files' might want to find the wacky third-season episode "Syzygy," which opens with Reynolds playing a poor sap who gets hanged off the edge of a cliff by two murderous teen girls. 20th Century Fox 2002: Reynolds' deftness as an aimless twentysomething earned him his first movie lead in "National Lampoon's Van Wilder," in which he played the titular party boy slacker who is challenged to finally graduate from college and get on with his life. Here, he works with Ray Liotta as a pair of FBI agents assigned to protect a Vegas gangster who has made an immunity deal with the feds and is now being hunted by multiple assassins.